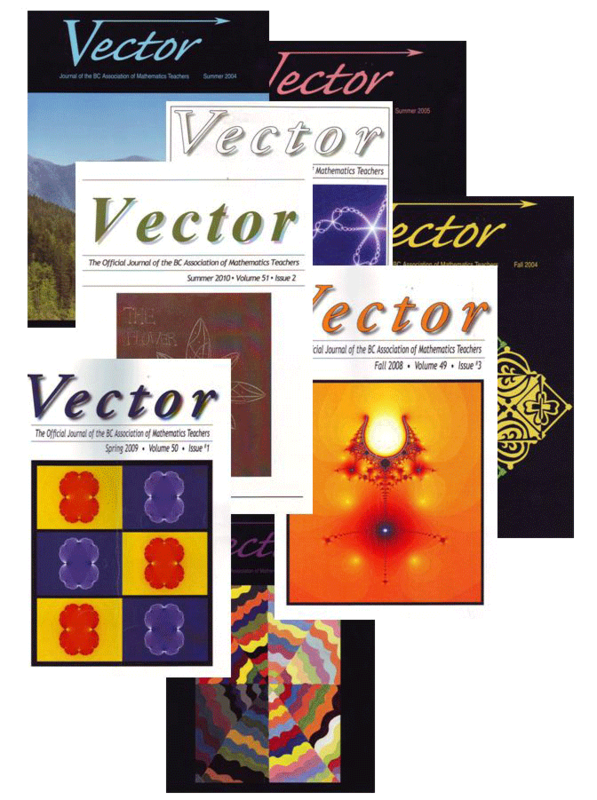 Vector is the flagship journal of the BCAMT. It has a history going back to the late 50’s with close to 150 issues published. As a journal it caters to the needs of all aspects of mathematics teaching and learning in British Columbia – from elementary to secondary to post-secondary teachers. The articles published in Vector are written by teachers, mathematics education researchers, and mathematicians. Enjoy.